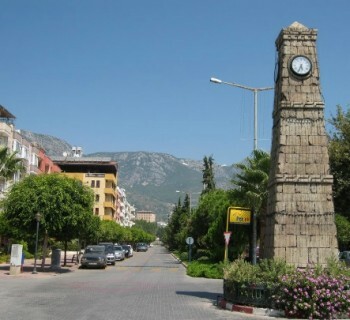 Turkish Alanya is located on the Mediterraneancoast and it is today one of the most popular tourist destinations. Among its obvious advantages - long swimming season, byuzhdetnye accommodation options, well-developed infrastructure and excellent opportunities for shopping. 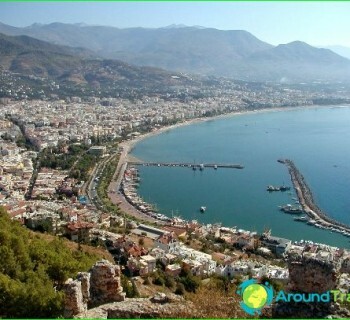 When to go to Alanya? The climate on the Mediterranean coast of Turkeysubtropical, so even in winter the temperature here does not fall below 15 degrees. Beach season starts in April and lasts until November, with the sea water warms up from +18 to +27 degrees. The hottest month is August. In spring and autumn with the onset of the mountain resort close by cold winds and even at the beginning and end of the high season you can comfortably sunbathe. 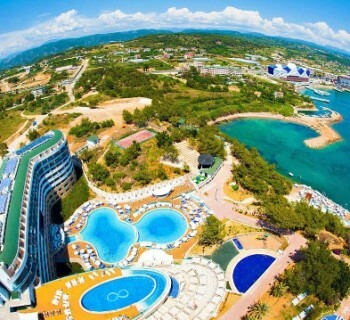 The nearest international airport is located in theAntalya and a half hours away by comfortable buses. Some tourists prefer to travel by ferry from the island of Cyprus, which depart from the piers in Kyrenia. The duration of the flight Moscow - Antalya is about three hours, depending on the airline and type of aircraft. Alania is considered particularly attractive placefor the budget and youth recreation, and because there a cheap hotel can be booked or to rent an apartment. Price of the issue for the hotel 2-3 * up to $ 50 per double room per night. Hotel territory small, very quiet and green. The absolute mass of Hotel operates on an "all inclusive". Despite the full board Hotel in AlanyaYou can and should go to cafes and restaurants and savor the best dishes of Turkish and Mediterranean cuisine. Fresh seafood and fragrant coffee, delicious desserts and oriental sweets, wonderful kebabs and vegetable dishes on the grill - this is only a small part of what can offer absolutely any restaurant in the resort. The prices make it possible to arrange a real feast without sacrificing the family budget. In addition to the famous sandy beaches with gently sloping entrancein water and secluded coves, Alanya is ready to offer its guests a tour of the Ich-Kale fortress, erected in the days of the Byzantine Empire, or a photo shoot on a background of the mosque of the XVI century. Fans will appreciate the masterpieces of natural descent into the cave of Damlatas with multicolored stalactites and boat trips to the Cave of the Pirates. The beautiful half of self-tourism fraternity enthusiastically indulges in shopping in Alanya, which is at the ability and desire to be traded here turns in a very profitable event.